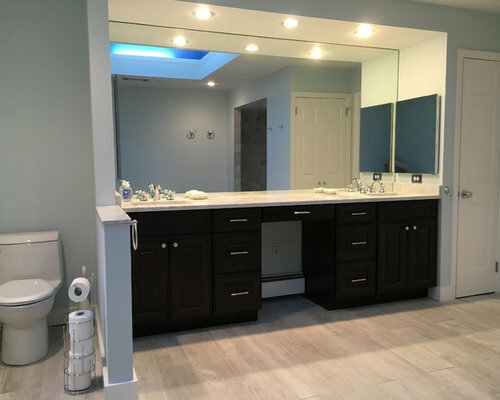 Complete remodel of this master bathroom. 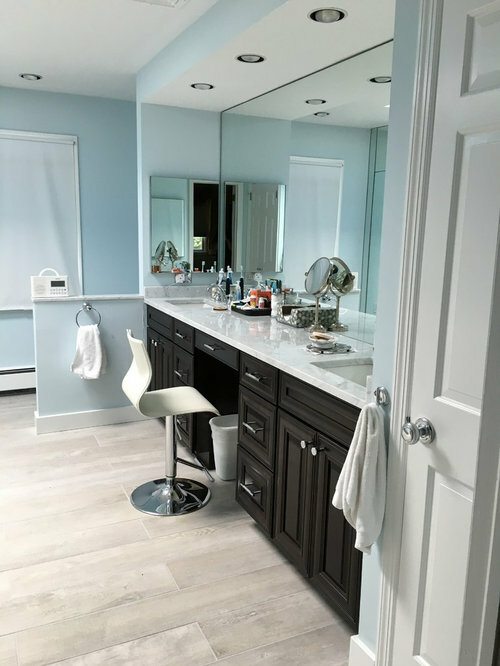 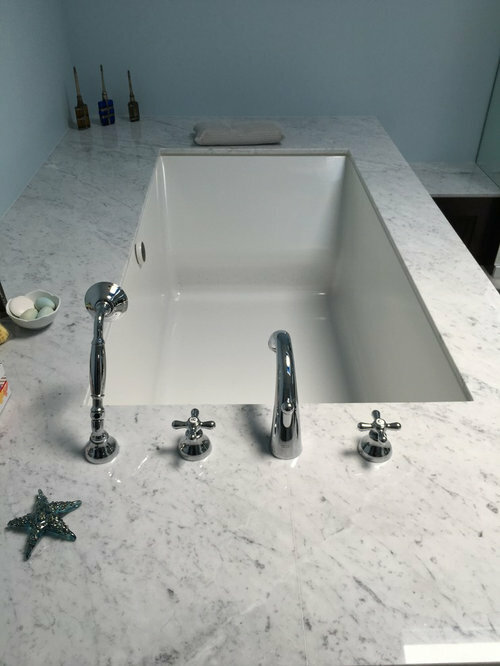 * Rohl plumbing fixtures throughout, from Best Plumbing. 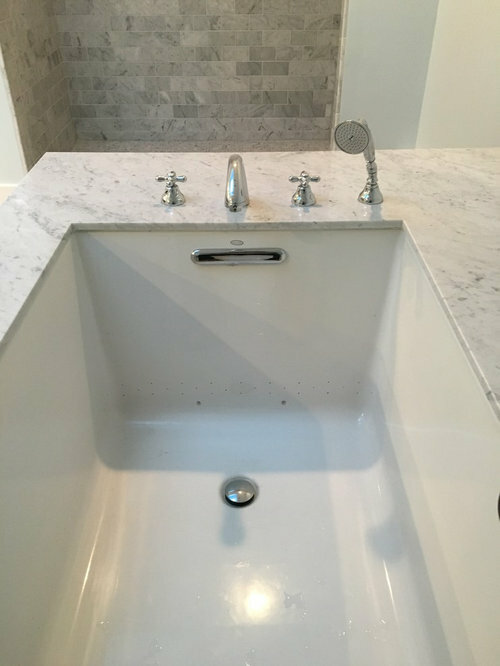 * Marble tub deck and countertop. 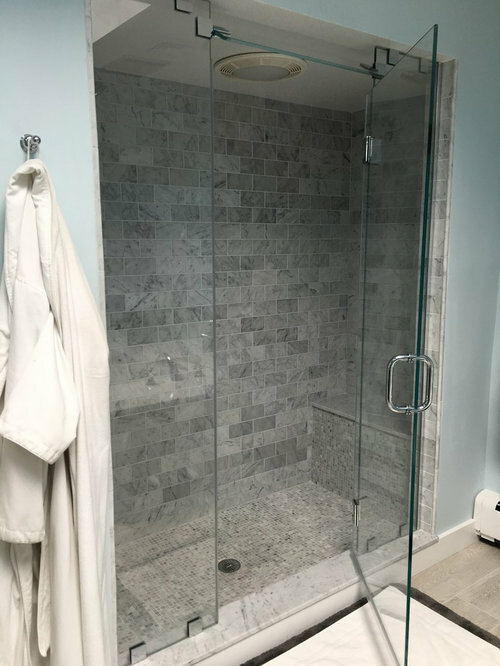 * Marble throughout the shower, floor and walls. 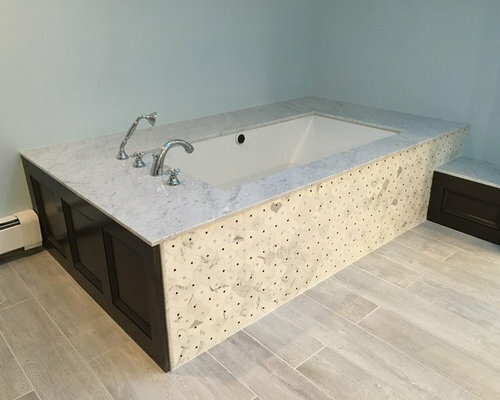 * Custom marble seat in the shower with shower niches. 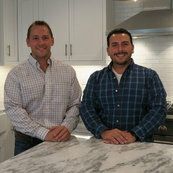 * Three foot long tile from Italy for the flooring. 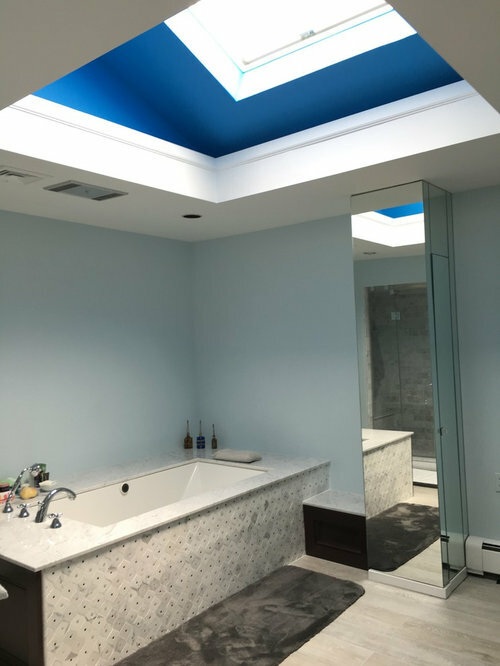 * Open sky light for natural light. 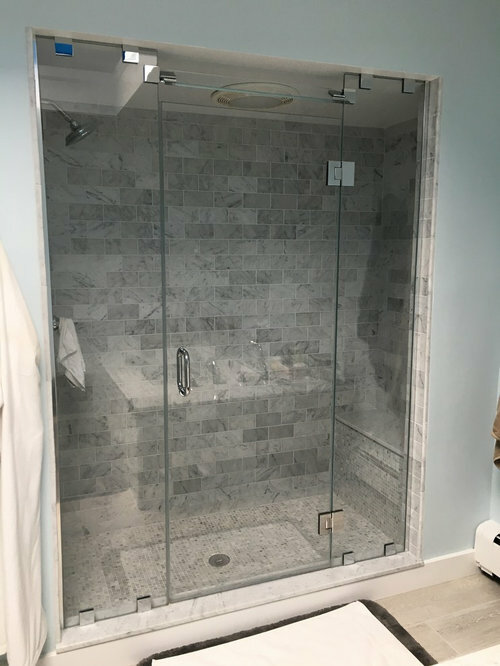 * Custom shower glass doors for steam unit usage.